The green planet is in trouble! A strange sickness corrupts the land. 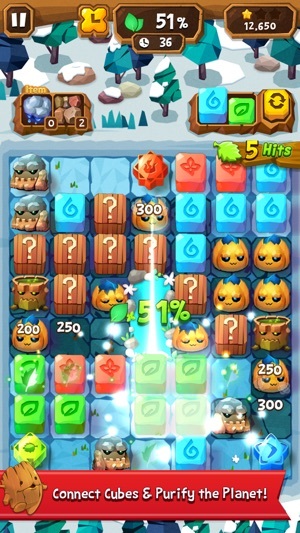 Only you can reverse the cloud of darkness and revive the world's green plants and cute root creatures! Gather up the forces of nature to clear all of the obstacles in your path. 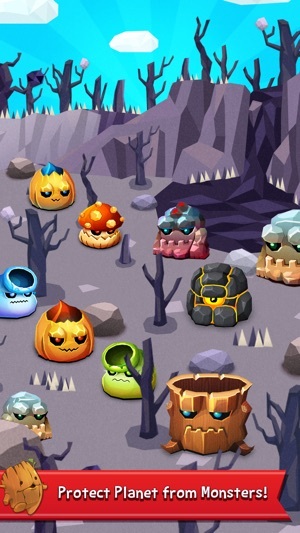 Stop the wasteland monsters from spreading their black and blue blotches on your green planet. 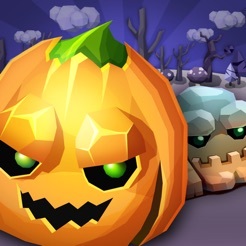 Strange pumpkins, blots of corrupting blobs, and locked blocks prevent you from successfully purifying the earth, so you must place new blocks to convert the spreading smudges of scum into a new vibrant Earth. 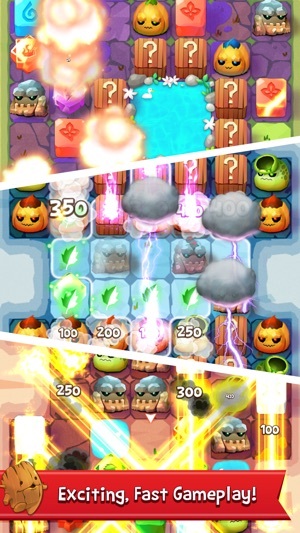 Find the easy path to connect a 2x2 square on the grass grid to transform the land and destroy any grimy monsters in the area! 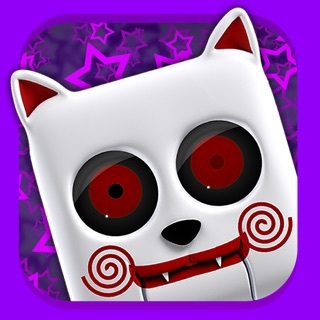 • Addicting, fast-paced puzzle play! 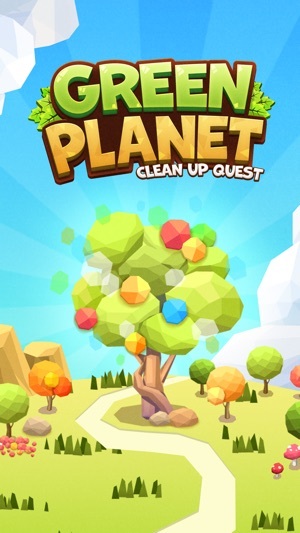 • Pick up quick bonus points by purifying the entire planet. • Spread the matching mania across the green fields. 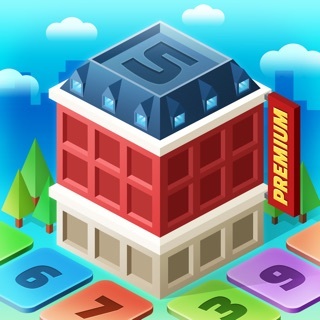 • Tap the tiles to fill up the board before the contamination spreads! 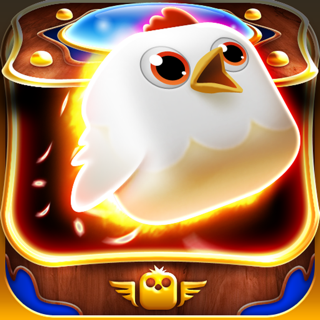 • Keep the puzzle path going with over 200 levels and 5 different game types! 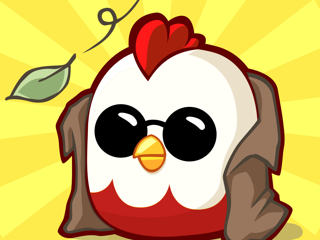 • Explore this refreshing new puzzle mechanic during your global journey! 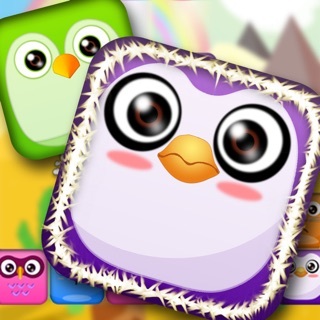 • Craft a paradise on your phone as you clean upmore levels and help us save the planet! 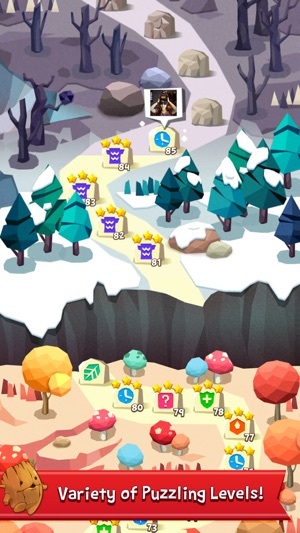 Installing the game and get 50 gems as a reward. Couldn't put this down. But it does crash if you don't fully close it and restart each time you play. © Enfeel Inc. 2015. All rights reserved.